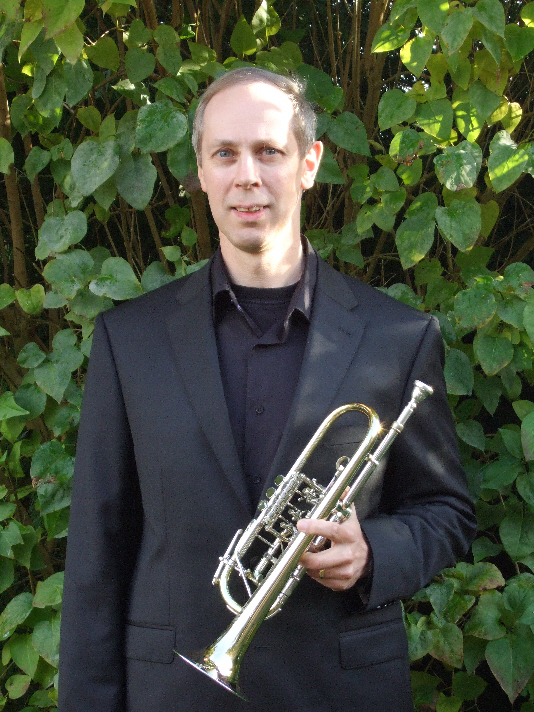 Mole Valley Music - brass lessons: trumpet, cornet, etc. My wife and I are both music teachers and we often get asked questions about music in the Mole Valley area. I put this website together to help answer those questions, in our opinion at least. This page provides a brief summary of my (Philip Bishop) brass teaching. How long and how much are lessons? My teaching is carried out both privately from my home and in Surrey schools. Privately, I teach pupils of all ages, from about 7 to retired. 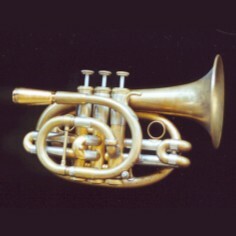 Trumpet and cornet are the most popular although I have many pupils playing lower brass instruments, such as french horn, trombone, tenor horn, baritione and euphonium. 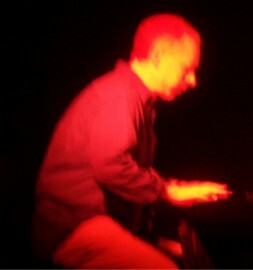 I teach all styles of music, including classical and jazz improvisation. I teach over 50 brass pupils individually. In addition, I also undertake group teaching, giving Key Stage 2 pupils the chance to experience and learn brass instruments. 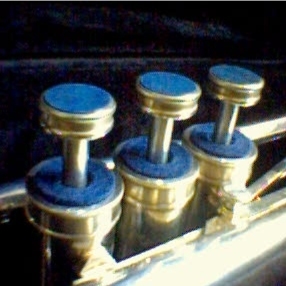 Aural and musical knowledge (including theory) are covered as required as part of the lessons. In addition I teach theory to grade 5 in individual lessons. Whilst some are learning purely for their own enjoyment, I generally encourage pupils to take grades, to perform and to join local bands and orchestras. DBS (Disclosure & Barring Service): Update Service subscription. 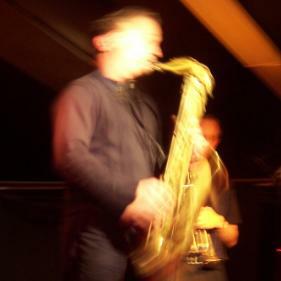 I have been performing in public since my early teens, playing in orchestras, opera productions, shows, brass groups, silver bands, big bands and jazz ensembles, as well as performing solo. I play french horn (specifically, Vienna Horn) in chamber music ensembles. Productions include Hansel and Gretel, Marriage of Figaro, Mikado Trial by Jury, Iolanthe, Fiddler on the Roof, Peter Pan, 1066 and All That, West Side Story, Calamity Jane,Cinderella, Phantom of the Opera, Into the Woods. Solo performances inlude the Aratunian Trumpet concerto. I play in a number of local orchestras and bands and help out in many more, including Redhill Sinfonia, Dorking Chamber Orchestra and Mole Valley Silver Band. I also run my own function band, Acoustic Resonance. I have a PhD in physics and have studied music at both the Guildhall School of Music & Drama and Goldsmith’s College. 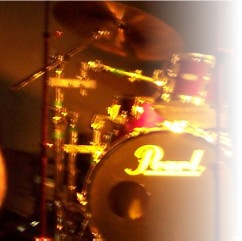 I sometimes also compose and arrange for the bands I play with. 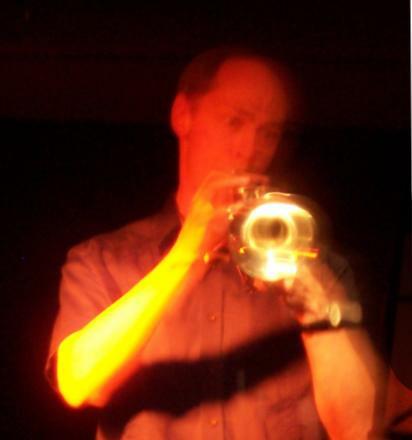 I teach trumpet, cornet, flugelhorn, tenor horn, french horn, baritone, euphonium, and trombone. Private lessons are given at my home, in Bookham, Surrey. I also make home visits, but charge extra for these. My pupils mostly come from Bookham, Fetcham, Ashtead, Leatherhead, Effingham, Dorking, Guildford, Espom, and the surrounding areas of the Mole Valley. In also teach in a number of local schools in Surrey, both state, academy and independent. Beginner private lessons are usually 30 minutes. Intermediate and advanced lessons can be 30, 45 or 60 minutes. Private lessons cost £18 per half hour. Copyright © 2006 Philip Bishop. All rights reserved.